A tidbit often trotted out to allay the anxiety of those who decline to so much as dip their toes in the ocean for fear of shark attack is that far more people die from insect stings each year than from man-eating fish. The difference being, of course, that shark attacks generate considerable media attention while insect stings, even when they cause death, rarely make more than local news. Not so in China, where more than two dozen people were recently killed and hundreds more injured in a wave of attacks by giant hornets. Victims described being chased for a thousand feet or more by the creatures and stung as many as 200 times, according to The Guardian. The culprit appears to be the Asian giant hornet (Vespa mandarinia), which grows up to two inches long with a quarter-inch sting. 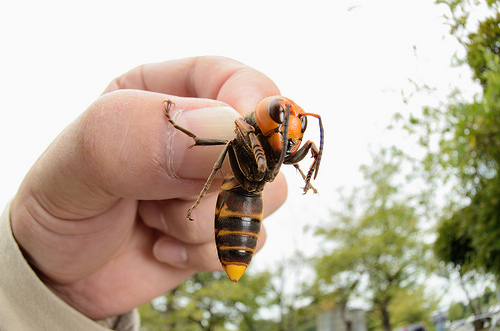 The Asian giant hornet injects a particularly potent venom that can damage tissue. Its sting can lead to anaphylactic shock and renal failure. It would be a gross generalization to say that the average adult today spends much of his or her free time in a mind-numbed torpor, whether it be induced by watching television, surfing the Internet or yapping away on cell phones. However, even those who regularly challenge themselves intellectually can’t help but be impressed by Tom Holland, a British popular historian. 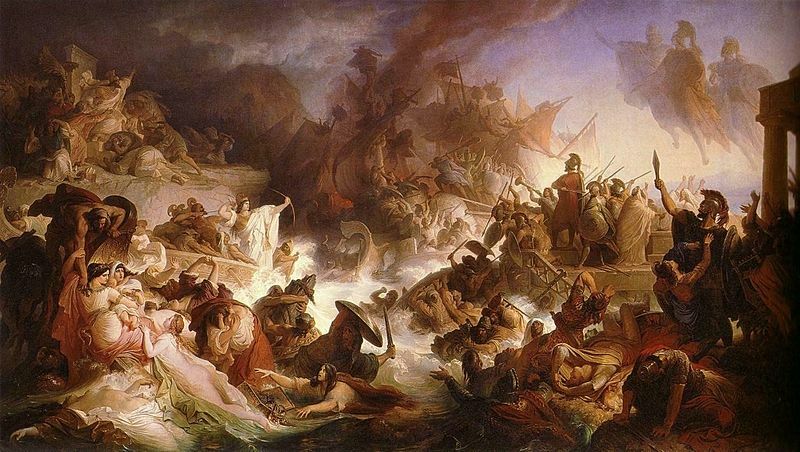 Over the past decade Holland has produced acclaimed works of fiction and non-fiction about the classical world by adapting Homer, Virgil and Thucydides for the radio. Perhaps even more fascinating is the fact that he has translated Herodotus’ “Histories” at the rate of a paragraph a day; an endeavor termed a labor of love. The effort was released by Penguin Classics last month. Anyone who has read or simply picked up Herodotus’ work knows this is no mean feat. Called the Father of History, Herodotus is believed to have lived from 484 B.C. to 425 B.C. He is cited as the first individual to systematically collect material, attempt to test its accuracy and arrange it in a well-constructed and vivid narrative. The “Histories” – Herodotus’ only known work – investigates the origins of the Greco-Persian wars and includes an array of geographical and ethnographical information. One wouldn’t imagine that there’d be much controversy over how a tyrant who orchestrated the deaths of tens of millions of individuals would be regarded in his native land. Not so in former Soviet republic of Georgia, where Joseph Stalin died 60 years ago. The incident – the latest of several in the past year – highlights not only the deep political divisions in Stalin’s homeland but also a struggle over his legacy, according to Agence France-Presse. “Some sort of nostalgia for Stalin still exists in a certain segment of the Georgian society,” political analyst Gia Nodia said. 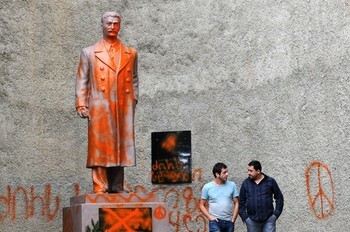 The Telavi monument was torn down several years ago as part of staunchly pro-Western President Mikheil Saakashvili’s campaign to eradicate all traces of Georgia’s Soviet past. Stalin, born in 1878, was a Bolshevik revolutionary who took part in the Russian Revolution of 1917. He managed to gain control of the Soviet leadership following Lenin’s death in 1924 and held power until his own death in 1953. Among his actions, he deported millions to the Gulag, where many died, and relocated many others to remote areas of the vast Soviet empire. For biting yet incisive political commentary, it’s difficult to top Waldo Lydecker’s Journal. An equal-opportunity critic, Waldo is at his best when analyzing the words and actions of grandstanding politicos whose ultimate goal is self-aggrandizement rather than public service. 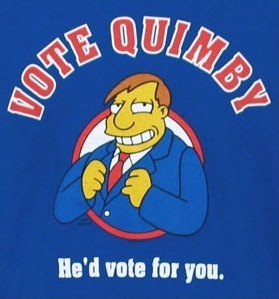 As such, the Republican Party, particularly in the Deep South, has been an easy mark in recent years. Take a recent post by Waldo regarding word that the president of the NC State Baptist Convention will run against incumbent Tar Heel Democratic Senator Kay Hagan in next year’s election. Mark Harris, pastor of First Baptist Church of Charlotte, will officially toss his halo into the ring October 2. Harris is the fourth candidate to seek a six-year free ride to draw a paycheck and oppose everything. Other candidates include NC House Speaker Thom Tillis, who tried to corner to cynical vote in 2012 with a marriage equality ban even he admitted would be history in a few years. 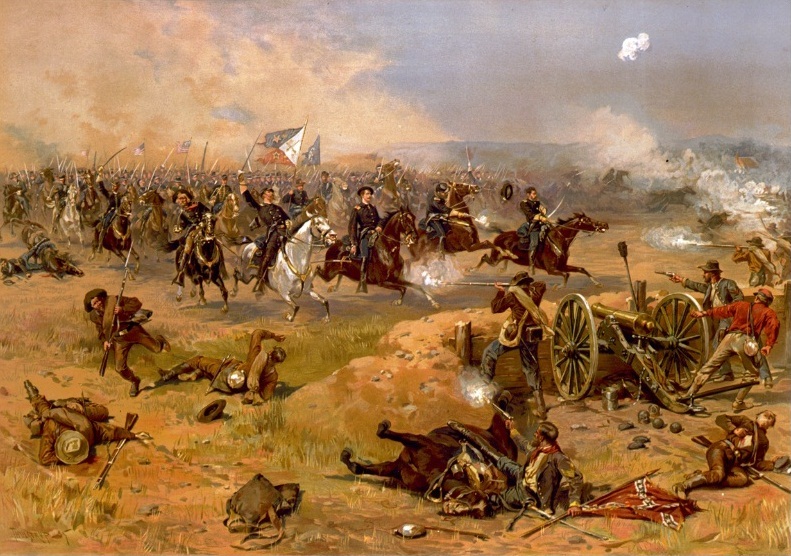 Harris’ entry into the race could heighten the odds of an intra-Teabagger squabble in the primary. Another hopeful, Cary medico Greg Brannon, plans to yard in demagogues like Rand Paul and Ted Cruz to keep the animal spirits animated on the Tinfoil Right. Harris will, presumably, call on God, who is widely reputed in state GOP circles to be a Republican himself. American coinage runs the gamut from the half cent to the $50 gold piece, and many all-but-forgotten denominations in between. 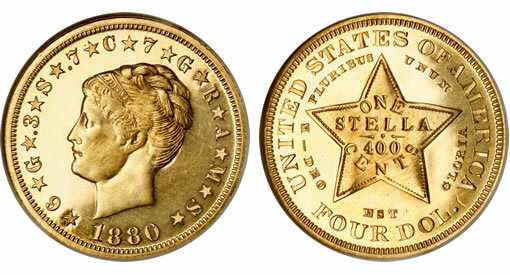 Take, for example, the $4 gold piece, minted in 1879 and 1880. Also known as a Stella, the $4 coin was produced to explore the possibility of the US joining the Latin Monetary Union. It was meant to contain a quantity of gold similar to that of the standard LMU gold piece, the 20-franc Napoleon minted in France, Switzerland, and other countries that belonged to the Latin Monetary Union. The Stella was a pattern coin, which means it was proposed and produced in small numbers but never received approval for public circulation. Even though just a few dozen Stellas are known to exist, four will go up for sale on Sept. 23 in Los Angeles when auction house Bonhams puts the spectacular Tacasyl Collection – 27 American gold coins in all – on the block. The 1880 Coiled Hair Stella, featuring the image of Liberty with a braided plait on top of her head, could fetch $1.5 million or more. How afraid are folks of spiders? According to a survey done by a University of California at Riverside professor, even some people who study insects are petrified of the eight-legged arthropods. Professor Richard Vetter recently looked into the prevalence of arachnophobia in entomologists – individuals who work with bugs regularly. 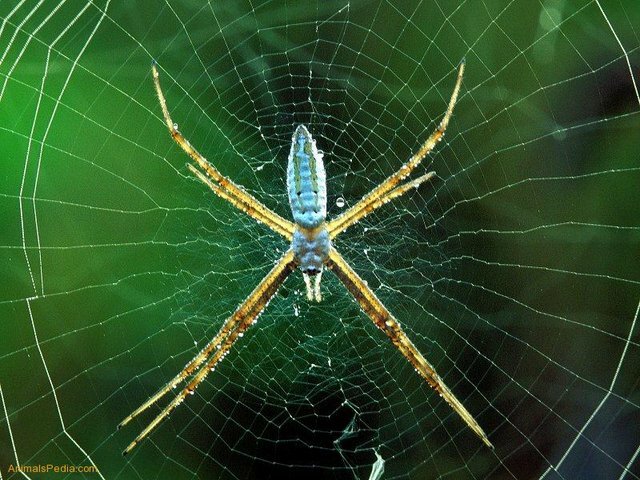 According to a report of Vetter’s study published in American Entomologist, Vetter surveyed 41 self-described arachnophobic entomologists and found that they react differently to spiders than to insects, with some stating that they react to spiders in an almost debilitating manner. Some of the arachnophobic entomologists said their fear developed in childhood, well before making the choice to pursue a career in entomology, according to the website RedOrbit. “The results of the study show that arachno-adverse entomologists share with arachnophobes in the general public both the development of response and the dislike of many of the behavioral, physical, and aesthetic aspects of spiders,” said Vetter, an entomologist himself. The article also revealed several amusing arachnophobia-related anecdotes, including some from respondents that regularly work with maggots and other creatures that most people would consider extremely unappealing. “I would rather pick up a handful of maggots than have to get close enough to a spider to kill it,” one respondent told Vetter.